Yet another unbelievable night has passed as the leaders of the UK's used car industry gathered at The Brewery in central London yesterday for Car Dealer Magazine's Used Car Awards - and now we can reveal who the winners were. Congratulations to all the winners, runners-up and finalists from everyone here at Car Dealer Magazine - and best wishes from all of our sponsors as well. 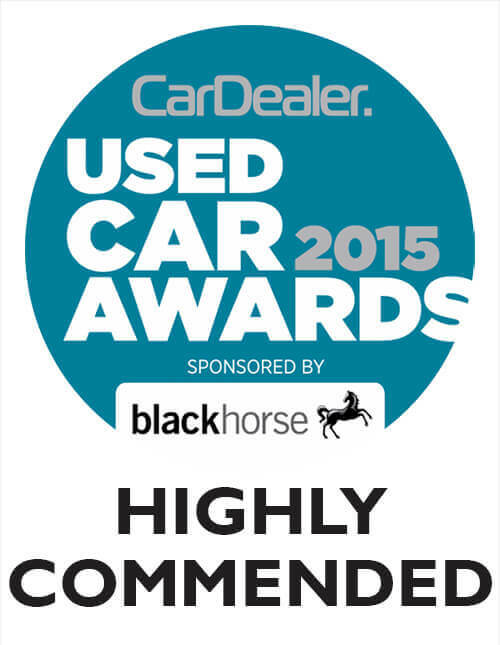 We're very pleased to be highly commended at the 2016 Used Card Awards by CarDealer in the category of over 100 cars. The awards, in their 13th year, are run by the National Apprenticeship Service which recognise firms for their apprentice schemes - and Reed Autos was the winner in the region for the Small Employer of the Year. Sue Husband, Director of the National Apprenticeship Service, said: "The National Apprenticeship Awards enable exceptional apprentices and dedicated employers to receive the recognition they richly deserve. Apprenticeships enable people to gain the skills and knowledge they need to succeed - in some cases up to degree level, and for businesses to grow the talent they need. "Reed Autos has won the Small Employer of the year award for East Anglia and I would like to congratulate them on their achievement. Winning this award is greatly deserved." The 2015 Motor Trader Industry Awards, held on 8 July at the Grosvenor House Hotel, highlighted best practice and celebrated the top achievers in the UK car retailing sector. Over 1,100 of the finest from the industry gathered to celebrate and network at the biggest night in the retail motor industry calendar. A popular winner of the New Dealership Of The Year Award, independent used car retailer Reed Autos triumphed in a shortlist featuring new sites launched by two of the UK's fastest moving dealer groups. We recently purchased a lovely car from Reed. We were impressed with the service we received from the first visit. Sam was very professional and not to pushy. He made sure we got exactly what we wanted I would highly recommend their service.